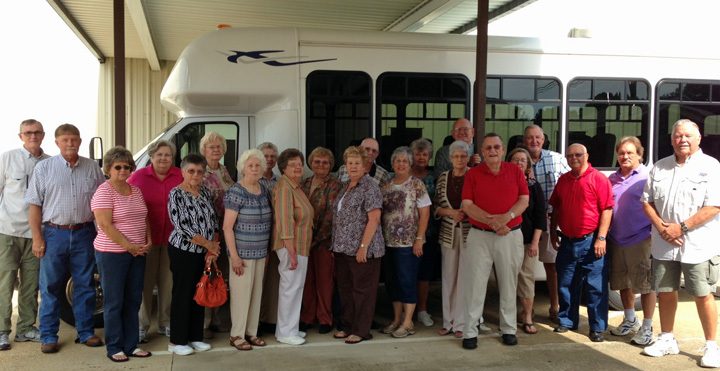 “The Second Half Club” is the name for our senior adult ministry at Fredonia Baptist Church. We have potluck lunches held at the church, with guest speakers, and also participate in Union County Baptist Association activities. We take several day trips during the year as well as an occasional overnight trip. We also participate in volunteer activities. The senior adult ministry is a place to find friendship and many opportunities for worship and service. From the Sunday morning and Sunday night Bible study classes to the lunches and day trips, you will find smiles and warm welcomes from the senior adults at Fredonia Baptist Church. The senior adults welcome new members to our group. As our number of members grow, so will the opportunities for growth and fellowship. We invite new retirees and new members to join our group. Please call or email the church office for more information.